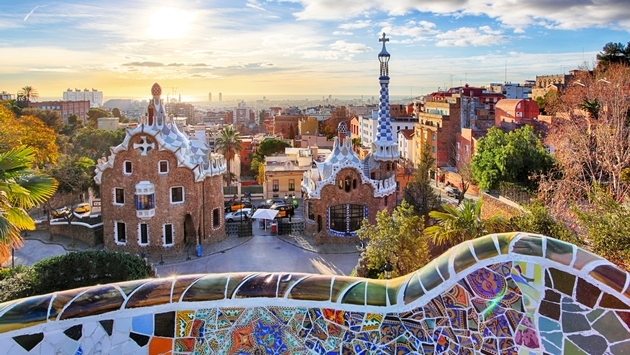 Spain has become the top destination in Europe for family travelers, prompting hotels throughout the country to offer special programming for the growing demographic of visitors. According to Hosteltur, family tourism generated $18.5 million euros in Spain in 2017 or about $21 million. At the same time, a study conducted by Sol by Melia found that families are changing. Today’s modern families typically include two working adults who are seeking a balance between being able to rest and enjoying time with their children, Sara Matarrubia, marketing director for Sol by Melia, told Hosteltur. “They usually go on vacation an average of twice a year, with an average stay of between six and eight days,” she said. In addition to the “modern family” travel segment, the Sol by Melia study identified a growing market of multigenerational family travelers, which involves traveling with grandparents. The study found that 72 percent of respondents make a multigenerational trip once a year. Matarrubia said that for Melia family tourism is the most important demographic, particularly for its Sol brand, which in 2017 brought in 21.5 percent of the company’s revenues. The growing family travel market has prompted the hotel company to create a variety of new children’s entertainment programming at 12 Sol properties in Spain, reported Hosteltur. The brand hopes to expand the programming to another 36 properties in two years and ultimately to 48 of its 70 worldwide resorts. The new programming is designed to stimulate the imagination and creativity of children while also promoting values, according to Hosteltur. The themed activities are limited to four kids’ clubs at Sol resorts segmented by age, so as not to overwhelm other guests. Each hotel offers more than 120 activities for kids each week, 40 per club. The brand has invested about $5.6 million in the start-up of the children’s programming, including spending nearly $118,000 theming each hotel. Barcelo hotels, meanwhile, offer a “Happy Minds” entertainment program for children. Launched last year, Happy Minds is designed to allow children to enhance their creativity and develop their skills through play. Riu Hotels & Resorts have a mascot, the turtle Calu, which is a symbol of the chain’s initiatives. In addition, The Riu Chiclana has incorporated a water park and indoor playground with slides, balls and more as an exclusive novelty at the property. Lastly, at Iberostar Hotels & Resorts, there is Star Camp for the youngest members of the family. The new program is designed to provide education fun and offer activities that encourage growth focused on cooperation, empathy, healthy habits, the development of technological awareness, responsibility and the importance of diversity or respect for the environment. The Iberostar programming includes more than 140 different activities ranging from allowing children to take part in cooking programs to deciphering hieroglyphs.